Chelsea have won all four league games this season - can Eden Hazard take them to a fifth straight win? "Chelsea are strongly fancied to extend their 100 per cent record and Eden Hazard could be the man to fire them to victory. Hazard has scored in both his starts for Chelsea this season and was on target for Belgium in their win last week over Scotland." Chelsea suffered a disappointing title defence last season which resulted in Antonio Conte's inevitable summer exit but his replacement Maurizio Sarri has made a promising start since his recent move to England. The Italian's style of football in Napoli won him plenty of admirers, if not silverware, with the early signs also offering optimism at Stamford Bridge. Sarri has had relatively little time to work with his new players but he has already had an impact with Chelsea winning all four league games and scoring ten goals in the process. It looks as if the Blues will give their opponents chances, as Arsenal proved in their 3-2 away defeat last month, but his attacking blueprint is already starting to pay off. It was another masterclass from Neil Warnock last season as he guided Cardiff back to the Premier League on a limited budget, at the expense of bigger spending clubs, but he faces a monumental task to steer the team to safety this season. Cardiff were favourites for relegation heading into the campaign and not much has changed in the opening month. Warnock's side have only taken two points from their opening four league matches with goals hard to come by. Goalless draws against Newcastle and Huddersfield underlined the team's competitive endeavour and their limitations as an attacking force. Cardiff played well in their last match at home to Arsenal but were still beaten 3-2. This looks a home banker and unfortunately the layers agree with their odds predictably short at just [1.19]. Heavy hitters may want to lump on this but the casual gambler will not relish this price and an alternative way to back the favourites is required. Chelsea should deliver the win with something to spare but the hosts are probably best reserved for accumulators. The visitors are trading at huge odds of [21.0] but there is a reason for that and it would take the most optimistic supporter to fancy their chances. Cardiff have scored only three goals in their last seven league visits to Chelsea and this current side are hardly stacked with finishers. An away win looks a non-starter and not even the massive price can tempt me into an outlandish bet. A draw is priced up at around [8.4] which may look potential value with Cardiff being held in two of their first four matches. But again it is difficult to come up with a strong argument for backing the visitors to frustrate Chelsea. Sarri's side have scored at least twice in each match and the most likely outcome by some distance is a home win. 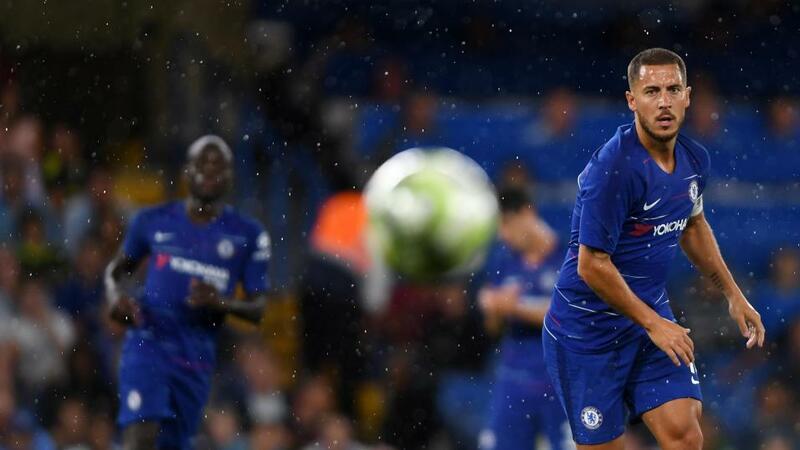 Chelsea are strongly fancied to extend their 100 per cent record and Eden Hazard could be the man to fire them to victory. Hazard has scored in both his starts for Chelsea this season and was on target for Belgium in their win last week over Scotland. The playmaker also scored twice in his club's 4-1 home win over Cardiff back in 2013 and he can get in on the act again. Using Betfair's Same Game Multi option, a Hazard goal in a Chelsea win looks a shrewd way of extracting value from the odds-on favourites. Warnock is without a win in ten Premier League games - he has never gone 11 consecutive Premier League matches without victory. Cardiff are 20/1 to end this run and pull off a huge upset this weekend.